3 hours of complimentary drinks, bowling, and old-fashioned American fun. Join us for a night unlike any other, as we gather for an evening of classic American fun, premium cocktails, and fine company. 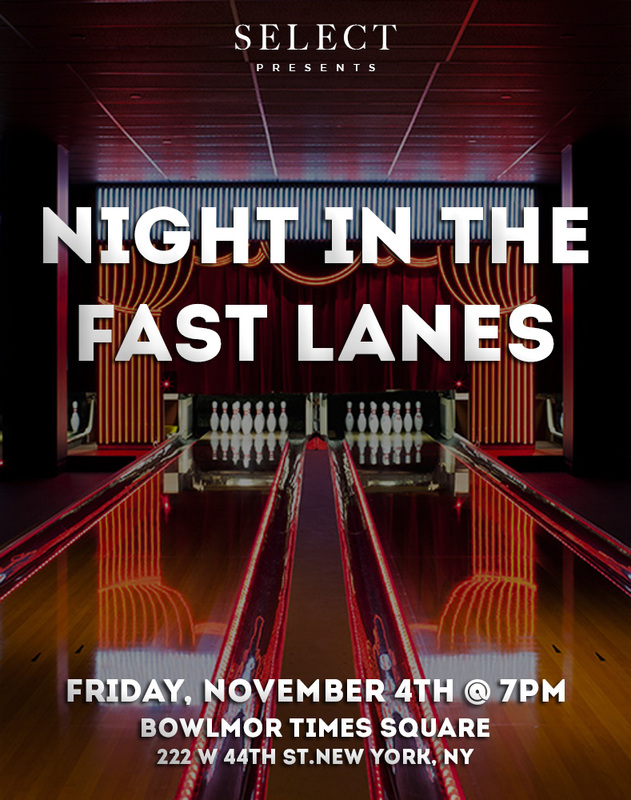 On Friday, November 4th, we'll gather for the Grand Reopening at Bowlmor Times Square, where SELECT will have the Central Park Room – an expansive private 11-lane enclosure – just for Members, complete with a premium open bar serving from 7-10pm, our own private lounge and lanes, and of course, complimentary bowling and shoe rentals throughout. Knock down some pins and let loose among friends old and new at this unique SELECT event. This event is complimentary for Members, with guest RSVPs available for $20 each.